Old newspapers are always interesting! 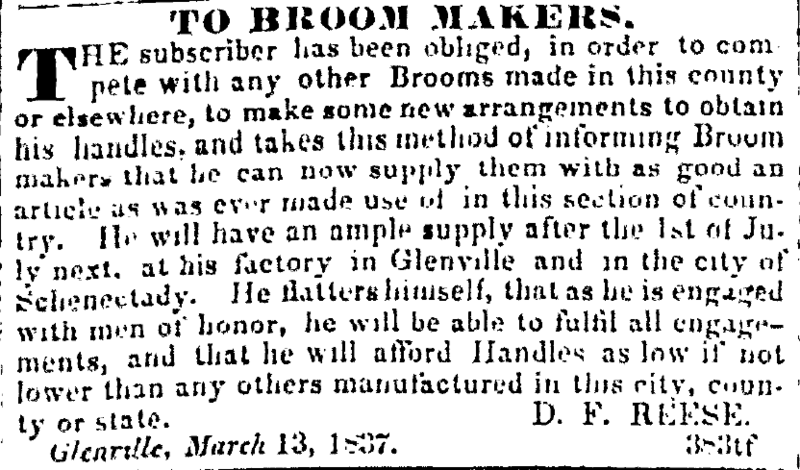 This is from Freedom’s Sentinel, Schenectady, 1837. It comes from the NYS Historic Newspapers Project, http://nyshistoricnewspapers.org/. 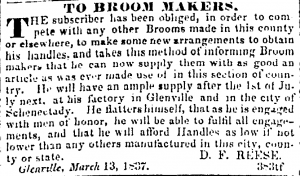 The Flint House was formerly the home of D. F. Reese, broomcorn grower and broom manufacturer.